The Women's Keb Fleece Hoodie is made from a functional fabric blend with a flat-knitted, low-friction outside and brushed inside, making it perfect as an insulating and moisture-wicking mid layer, all year round. G-1000 fabric on the shoulders provides reinforcement against backpack straps. 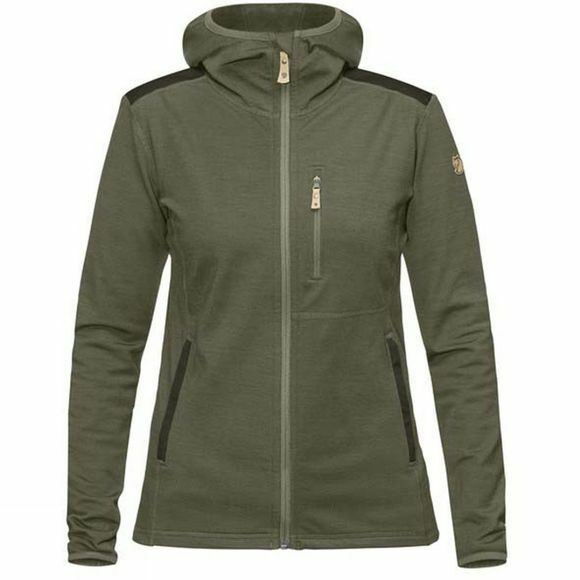 The jacket has a well-fitted, feminine shape and a comfortable, snug-fitting hood with elastic edging.